Group 1 cars are often the cheapest to insure. If you're looking for cover, check out our guide to the best car insurance policies or our list of the top car insurance companies for young drivers. Or you can compare prices using sites such as GoCompare. If you're under 24 or know someone who is, check out Marmalade's offer for young drivers. They can offer 12 months free young driver insurance when you take out a 4-year personal contract plan on a brand new vehicle. They offer this plan on most of the vehicles in the group 1 category. This means cars under the umbrella of one model can fall into different groups depending on their specifications. For example, not all Nissan Micras will be group 1 cars but it's likely a Micra with smallest engine size will fall into the group and will be a cheap car to insure. We've listed vehicles where we've found two sources to confirm the car is in group 1. We've only listed the model so you may need to do some research to find the group for a particular version. However, the model is a good guide the car will be in a lower insurance group. It's worth noting that the 1 - 50 groups should be used as an indication of insurance prices. Insurers can set their own groups, although they're likely to be similar to the industry standard. Learn about group 6 cars here. In no particular order, these are new and used car models currently in Insurance Group 1. You can compare the price of insuring each car at GoCompare. Pros – a solid, well-made small car that’s been popular with young drivers for over a decade. Very good fuel economy and a great choice of interior options and extras. Cons – some gear issues have been reported and the engine is noisy and quite slow. Price of car: Used cars are around the £5,000 mark and new cars around £9,000-£11,000. Find out how much it will cost to insure a Vauxhall Corsa on GoCompare. Pros – the dashboard and gear lever (mounted on the dash) are very user-friendly, which is particularly important for less experienced drivers. Cons – only the 1.1 Active or some of the Dynamic models fall into group 1 for insurance. 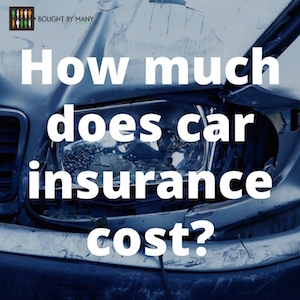 There are newer, sleeker versions on the market, but they are more expensive to insure. Price of car: Used models sell around the £5,000 mark and new models at £7,500-£9,000. Check the price of insurance for a Fiat at GoCompare. Pros – not expensive to buy and gets 62.8MPG, which makes it quite cheap to run. It’s not a bad looking car and comes in a variety of pretty and funky colours. Some Citroen deals even come with a year’s free insurance, which is a young driver’s dream! Cons – some older models (pre-2009) might have clutch and water pump faults. Water leaks have been reported in some cases. The Vibe or Airplay models may be the only ones in group 1. Price: Used cars can cost around the £4,000-£5,000 mark and new cars are around £7,000-£8,000. Pros – only a recent version of the 1.0-litre petrol Micra is in group 1 so it comes with Bluetooth and a USB input. It's larger and more stylish than older versions. Cons – it's not the most economical Micra and some have described it as a bumpy ride. Pros – as you'd expect with a Smart car, it's nimble and it's possible to personalise it. Cons – it's designed as a city car so it's not great to take it on the motorway. The rear seats are also considered a little cramped. Pros – while still small enough for easy urban driving, the Spark is a 5 door car with a relatively spacious interior and boot. Cons – not as sleek looking as some of the other models on this list, though of course, that is a matter of taste. It doesn’t provide a very smooth ride but is sufficient for everyday use. Remeber, if you need cover for a group 1 car you can check our list of the best car insurance policies. Pros – a compact city car that feels more spacious than it looks. It features a lot of nifty little design perks, like interior storage compartments, cup holders and even a bag hook and photograph holder. Cons – reports of a noisy clutch, and gear and front disk issues. Price of car: Used cars are around £4,000-£5,500 and new can be as little as £8,000. Pros – economical and easy to drive, the Up is very much a small car, but feels spacious inside. It has been carefully designed and offers very good value for money. Cons – quite expensive to buy, there have been reports of the paint running into blisters and clutch issues, and the interior lacks soft-touch materials. Price of car: Used cars start around £5,000 and can go up to £10,000, new cars are between £9,000 and £12,500 (although the all-electric version is over £25,000). Compare car insurance prices at GoCompare. Pros - rides and handles nicely and has a relatively economical engine. It has a quieter engine than other small cars and is reasonably spacious. Cons - it's very similar to the Citigo, and yet is more expensive. It also doesn't come with much equipment as standard, although different versions contain different things. Price of car: Used cars are around £5,000-£8,000 and new cars cost between £9,500 and £11,000. Pros - spacious and extremely cheap, the Fox also boasts a nice ride and good handling. Cons - it's quite slow and doesn't have a huge amount of safety features. It also doesn't include much equipment compared to its rivals. Only the 1.2 litre falls in Group 1. Price of car: Used, these cars can be found on the market from £1,000 to £3,000. New, they sell for between £7,500 and £9,500. Pros - the i10 has a quiet engine and a spacious interior, especially in the rear of the car. Depending on the version, it comes with a fair few features, including air conditioning and a USB socket as standard. Cons - the safety features aren't as extensive as some of the other models listed, and it hasn't performed as well as other cars in crash and break-in tests. Price of car: Used, these cars go from £3,000 to £9,000 depending on the version, and new they can be found from just under £9,000. Pros - nimble and a decent ride, the Ka is suited to city driving. It's also reasonably spacious inside. Cons - the Ka had a bad review on What Car?, which says it is noisy, under-equipped and lacks safety equipment. Price of car: Used, the Ka can be found from between £7,000 and £9,000, and new they are priced between £9,000 and £11,500. Use GoCompare to find cheap insurance for group 1 Fords. Pros - the Rio is spacious and has good fuel economy. It has also performed well in safety tests. Cons - only the 1.1 litre falls into Group 1 - other models will cost more to insure. It's also quite loud at high speeds and not as comfortable as some of the other cars on the list. Price of car: Used, the Kia Rio goes for between £4,500 and £7,500 and new you can expect to pay around £10,500. Are Group 1 cars a good option for young drivers? 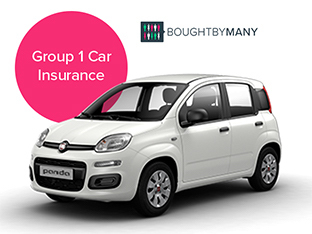 Group 1 cars are some of the cheapest to insure, so they can be a good option for young drivers. However, insurance premiums for young drivers are notoriously expensive and have been rising in recent years, so just buying a Group 1 car won't guarantee a cheap insurance quote. You can use our guide to the best insurance for young drivers to help you navigate the market. That said, there are some clever ways to save money (other than installing a notorious black box in your car). One way is to set a higher excess, which reduces your premiums. Many top insurance companies, including AvivaPlus and Endsleigh, let you set a high excess. Once that is done, you can join our Young Drivers Group and insure the excess. You can find out more about how insuring your excess works here. It is always worth shopping around for cars and insurance using websites such as confused.com. Try to consider how your choice will affect the less glamorous aspects of being a car owner, such as running cost and insurance, not just how good the car looks. Interested in Marmalade's Cars for Young Drivers scheme? Find out more at Marmalade's website. Think Young Drivers should be getting a fairer deal on car insurance? Then add your voice to our Young Drivers Group. Find out about group 6 insurance cars.